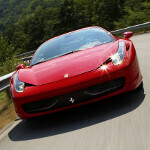 Motorola has teamed up with Nextel Brazil to offer the Motorola i867 Ferrari. You might think that a phone named Ferrari would have top line specs, but you'd be wrong. What it does have is PTT functionality using Motorola Mobility's iDEN technology. The handset is inspired by the Ferrari 458 according to the manufacturer and the back of the phone is designed to resemble the hood of the car. Buyers will receive a special Ferrari kit with a leather case, key ring, car charger and the most important accessory of them all, a bumper sticker! The specs, as alluded to above, are underwhelming starting with the 3.1 inch screen (which we used to call generous in 2007), and a 3.5mm earphone jack. On back is a 3MP camera and Swype is pre-installed on the device. 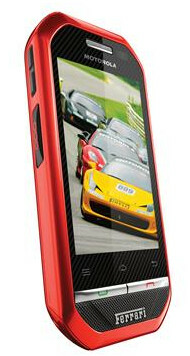 The Motorola i867 Ferrari has two microphones for noise cancellation, and comes with a 2GB microSD card. The phone does have a 32GB capacity microSD slot for expandable storage. 10 personal and corporate email addresses can be configured using the Nextel email app that comes with the device. And driving this Ferrari (pun intended) is Android 2.1. Does reading that take you back a few years? 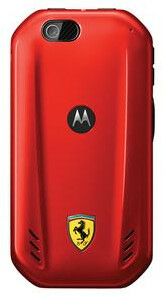 The Motorola i867 Ferrari will be available through Nextel Brazil sales channels for a promotional price of R$1499 ($871 USD) or R$799 ($435 USD) with a data plan. With specs this low rent. don't expect to see this Ferrari driving by in the States. Look's ugly.... Even the Razr, the Droid 4 look's much better! This phone is very impressive. I never thought I'd send such complete garbage being produced in this day and age. Unbelievable. I agree that it should have good specs to go with the name, but we saw something like this happen with blackberry a few months ago! Ugly, old-specs, and a huge price! Now that Motorola is part of Google, I expect better! this would have been nice, in 2008. Design is great... but specs are crap... and don't let me start about the price! This is the one instance where specs don't matter at all; only a complete tool would carry one. Only two types would have interest in this: 1-Total wannabes who can't afford the car. 2-Pretentious posers who can. Which would you like to represent? Total fail. lol.. I don't see too many sharp corners on the new F12berlinetta, so I doubt this was designed by Ferrari themselves. 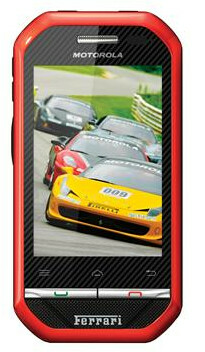 The phone is for Ferrari enthusiasts who really couldn't care less about it's specs. Smokers easily piss that much money away in 6 months on cigarettes, I'd much rather have this collector phone than lung cancer.